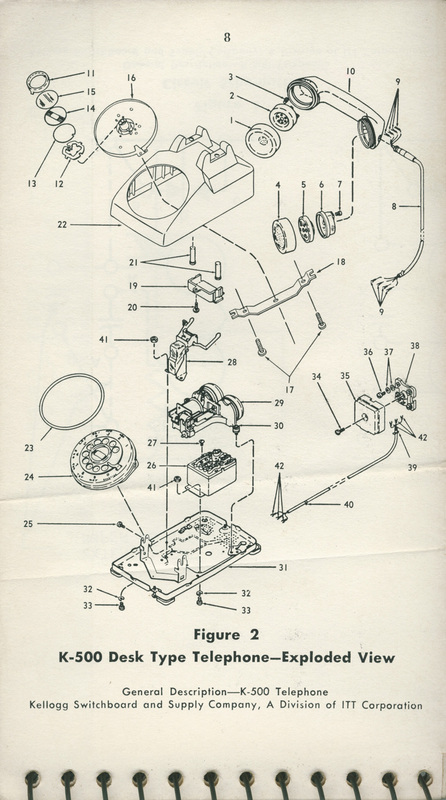 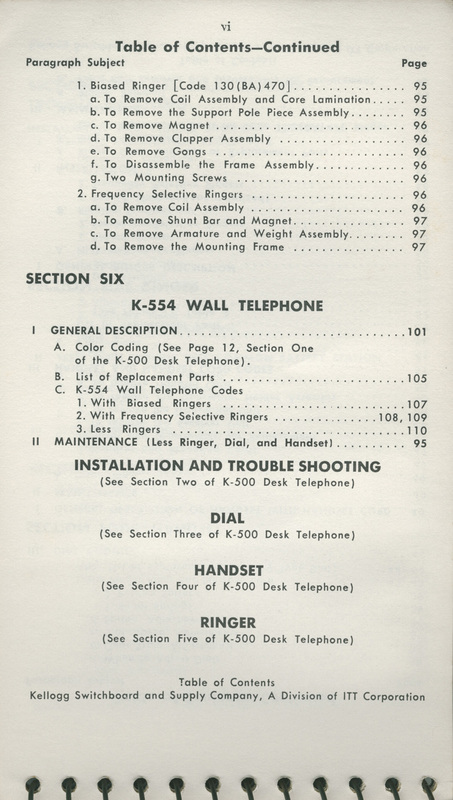 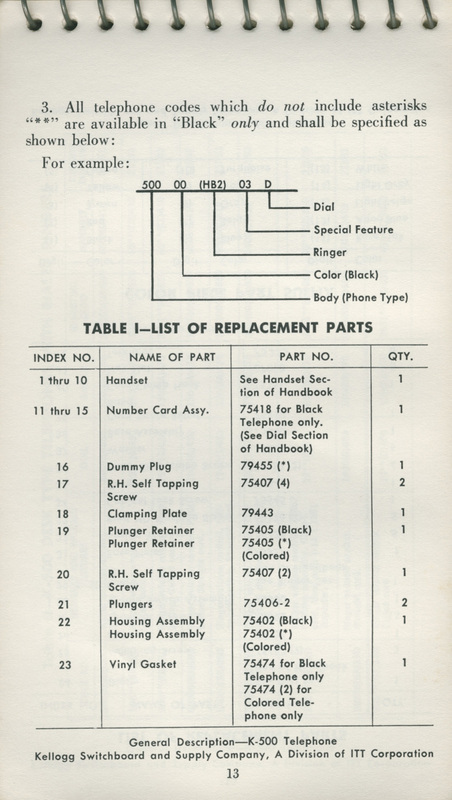 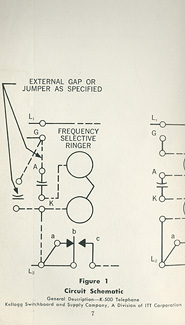 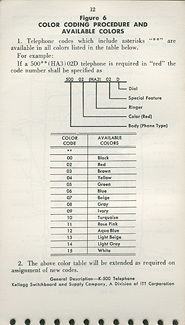 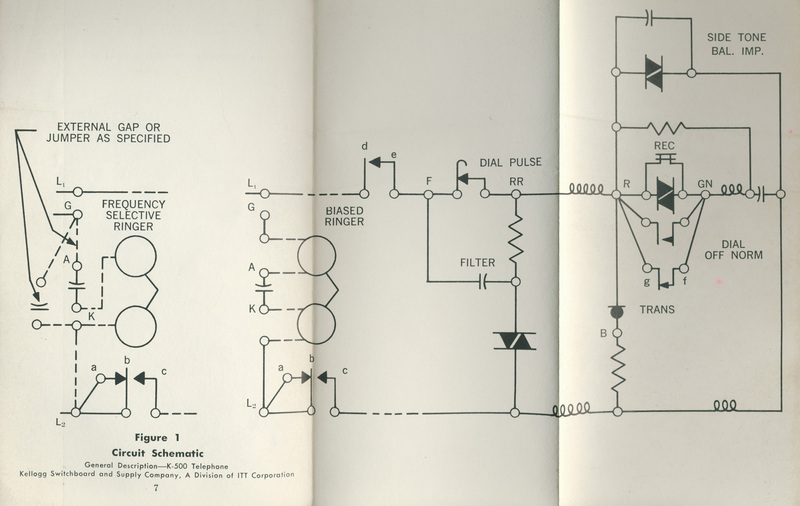 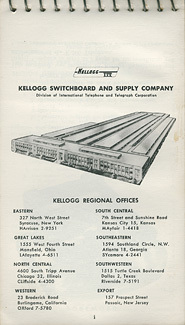 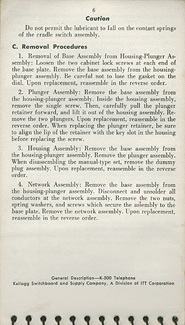 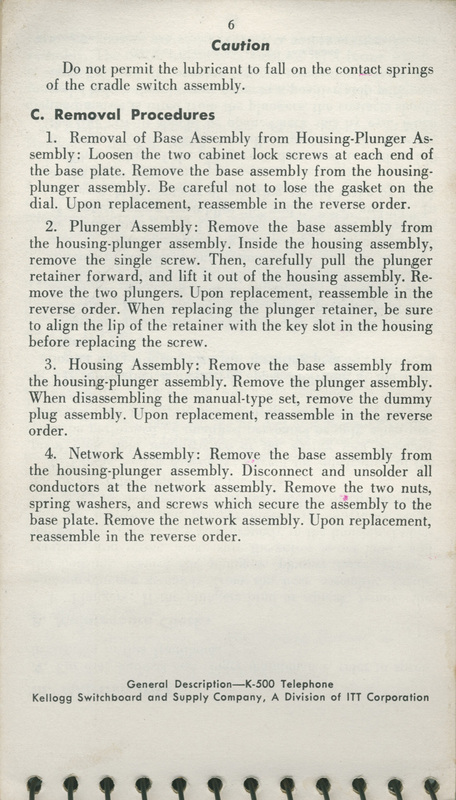 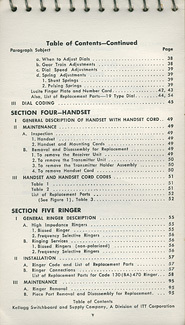 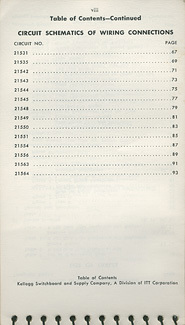 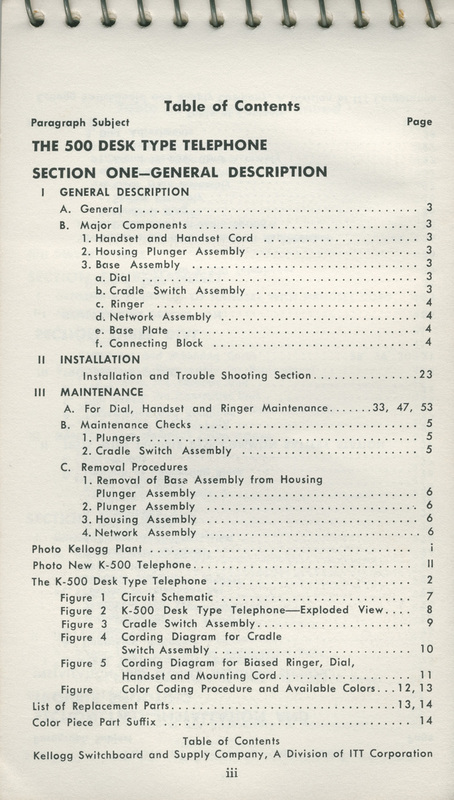 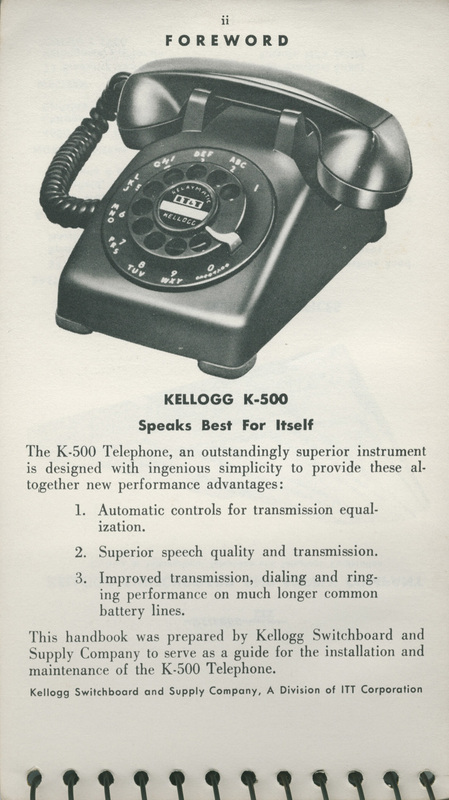 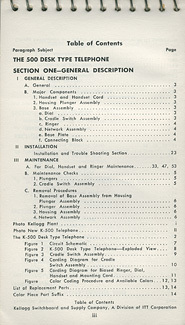 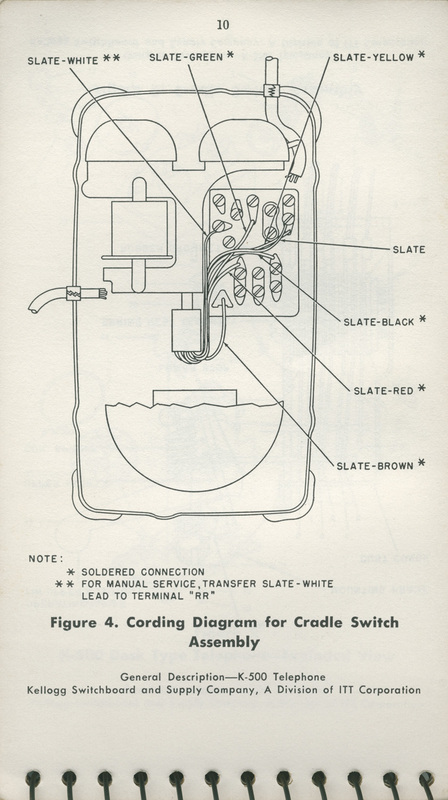 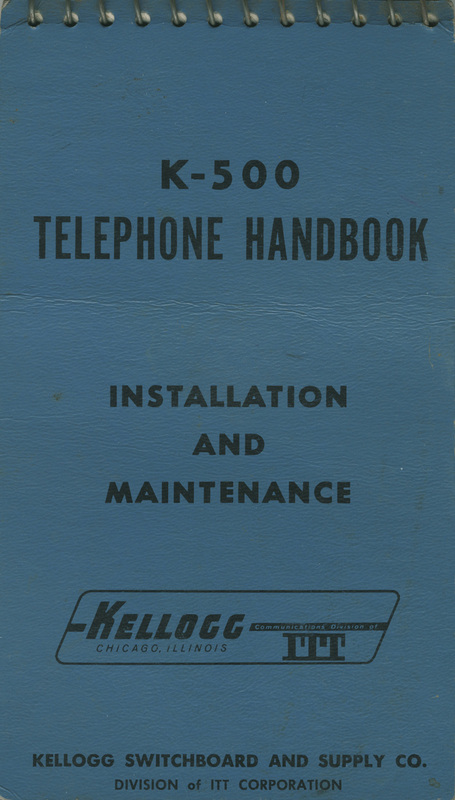 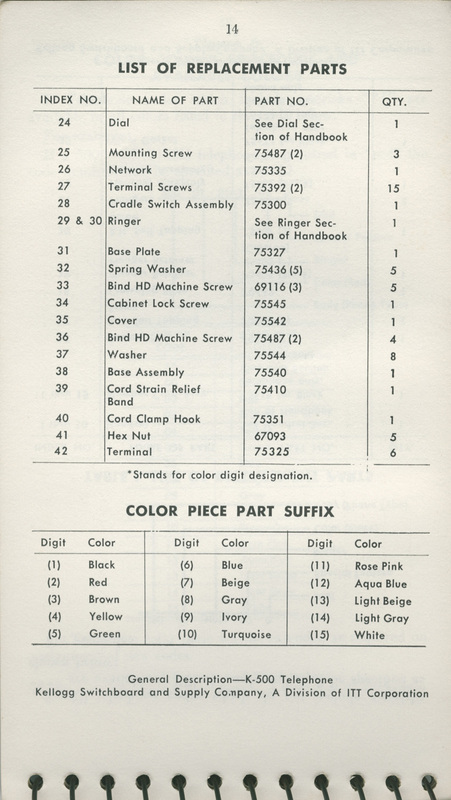 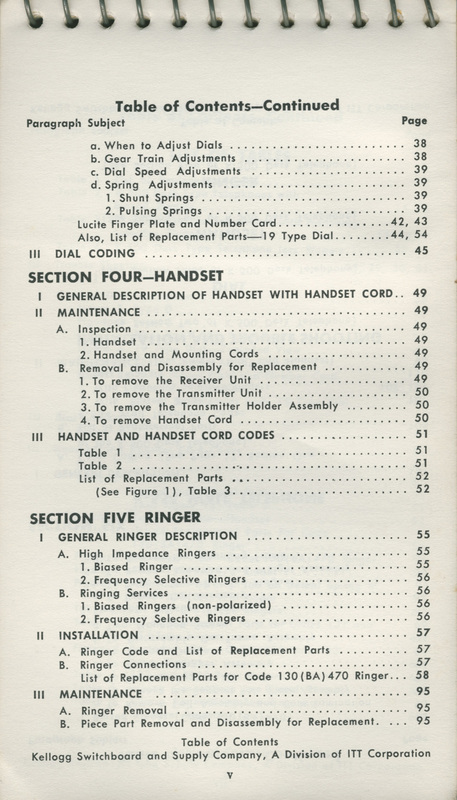 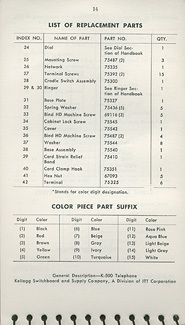 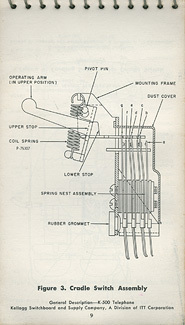 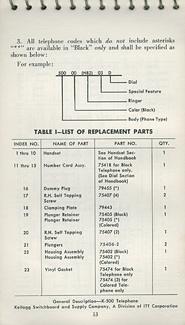 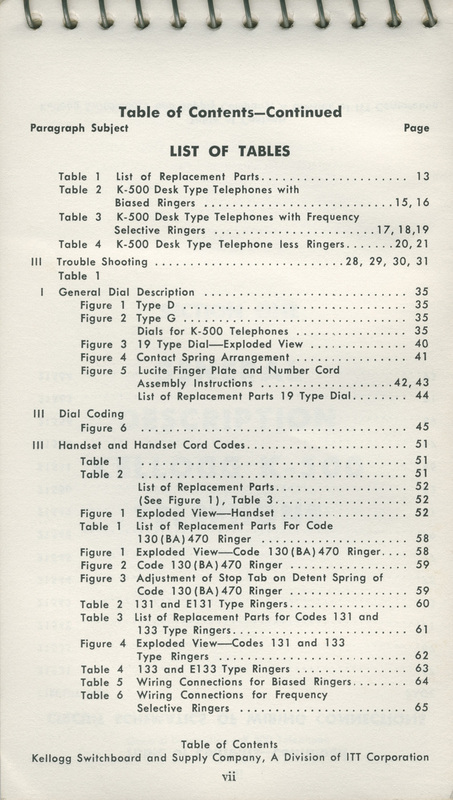 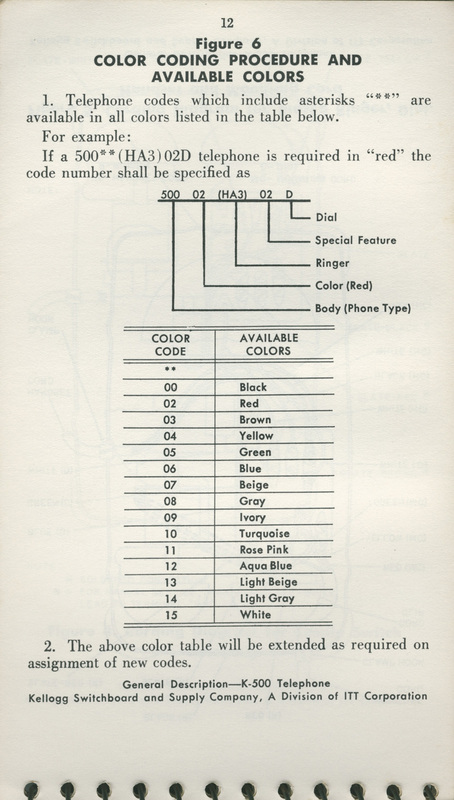 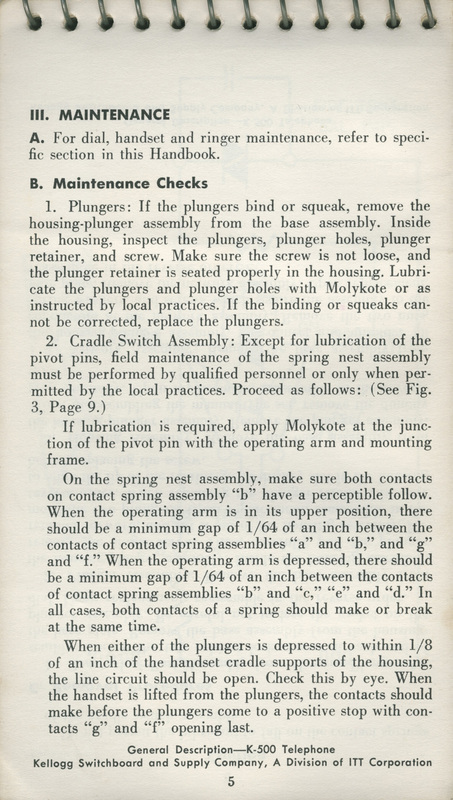 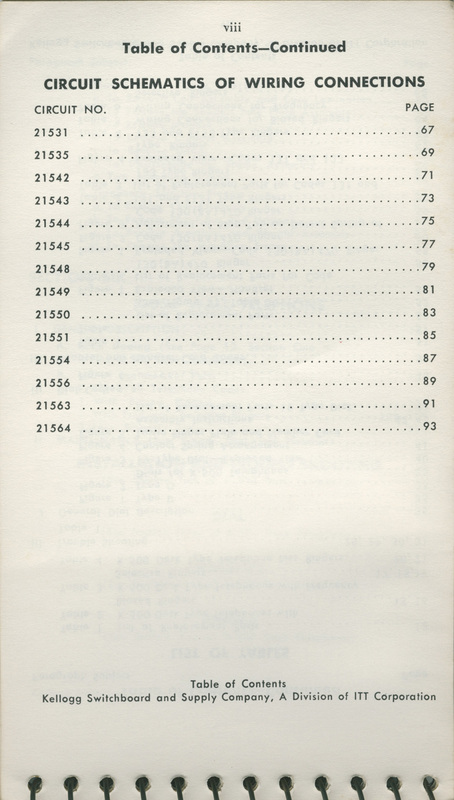 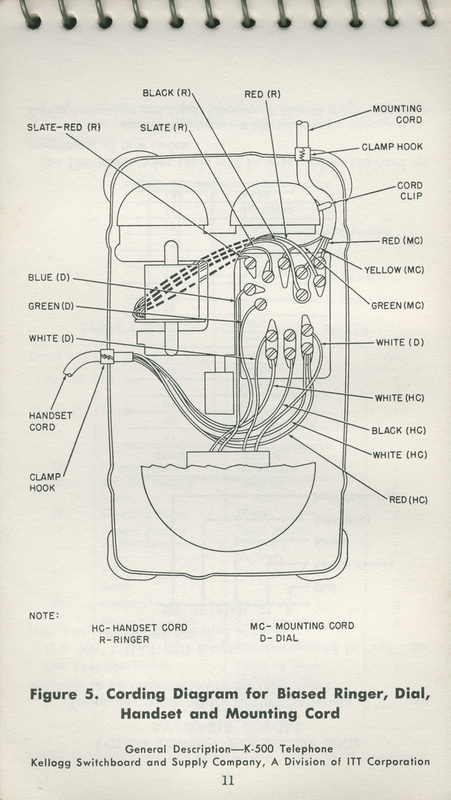 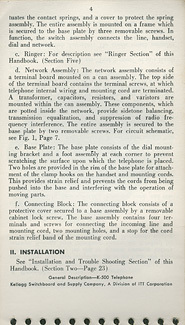 Here's a nifty item from 1958, a spiral-bound manual for Kellogg's model 500 clone, the K-500. 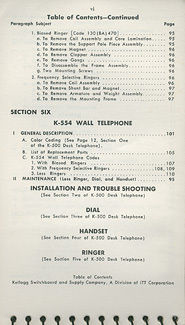 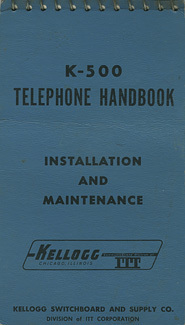 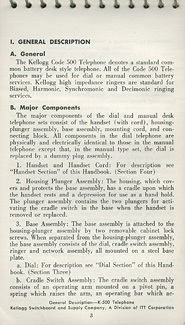 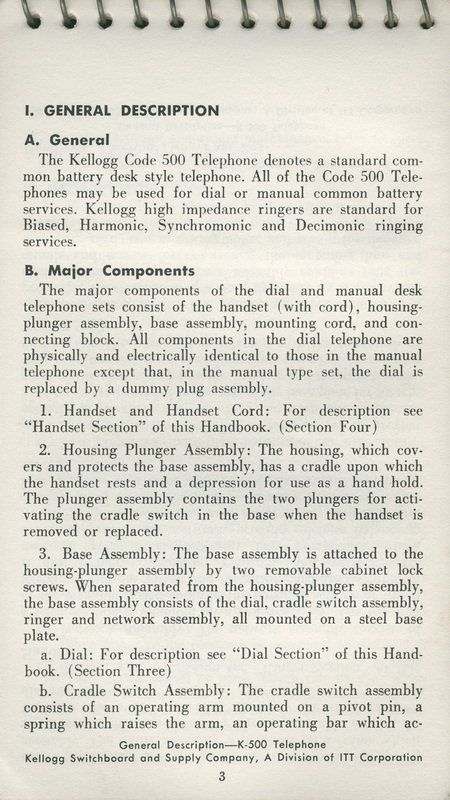 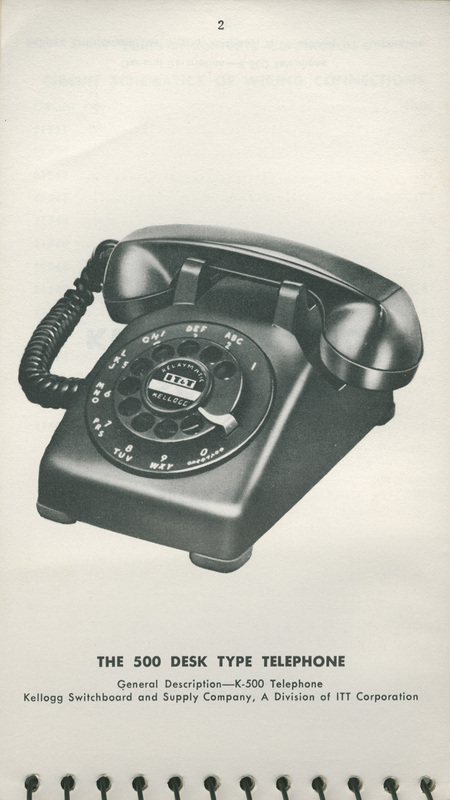 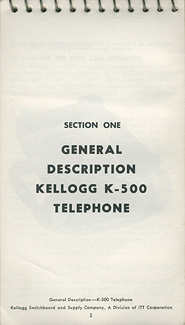 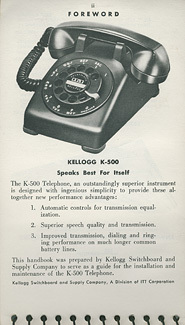 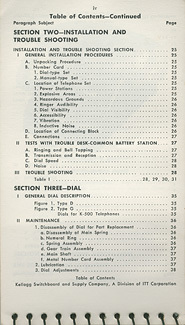 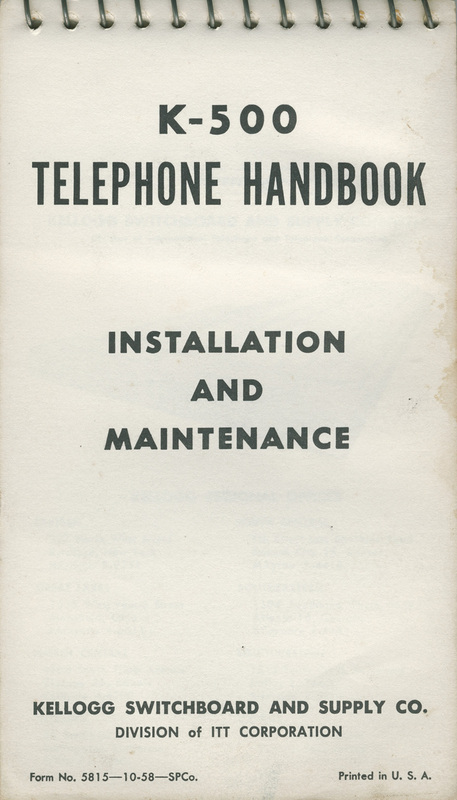 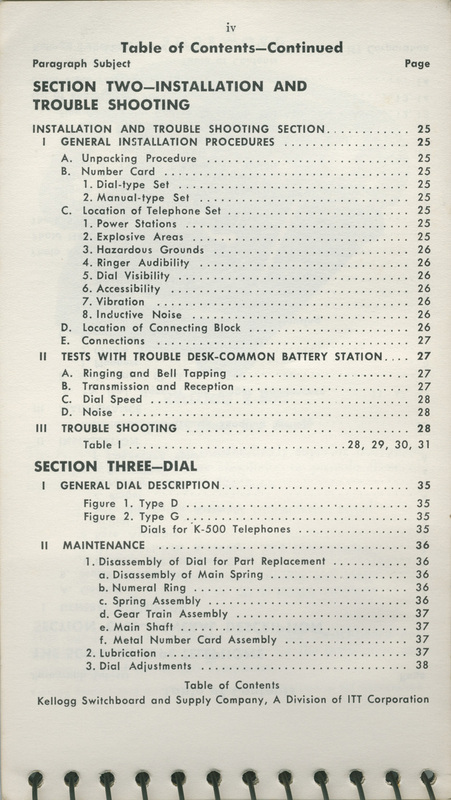 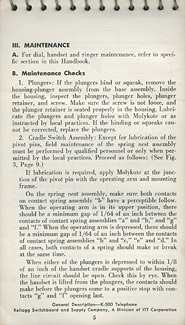 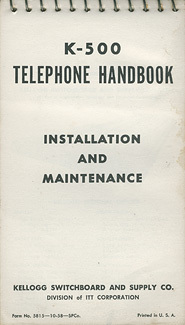 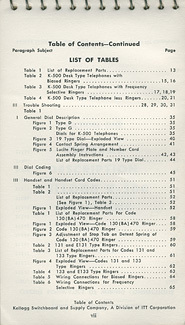 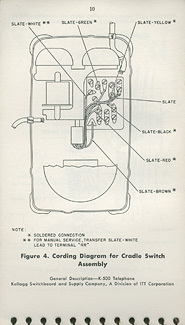 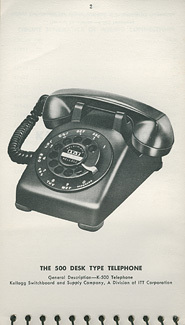 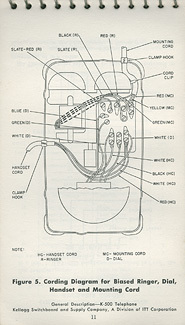 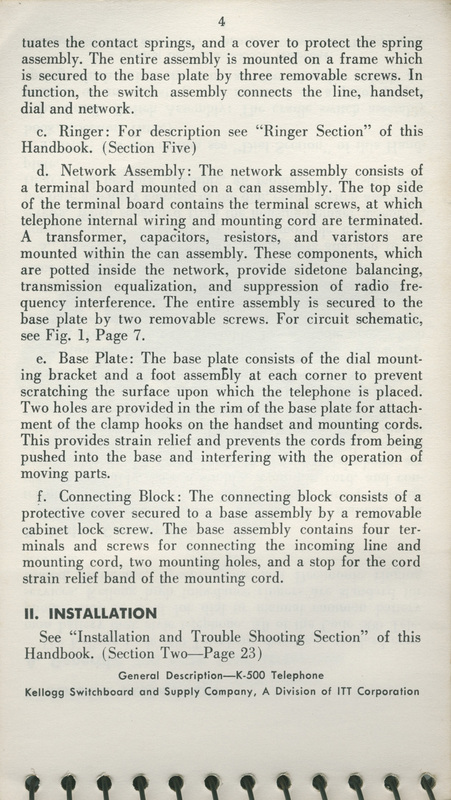 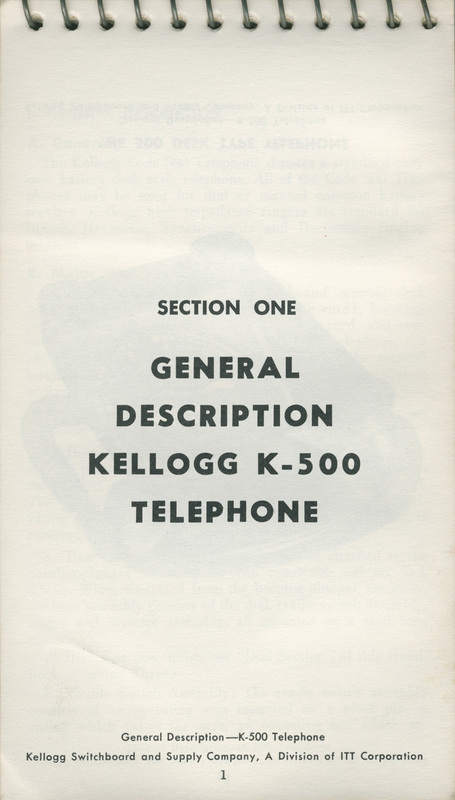 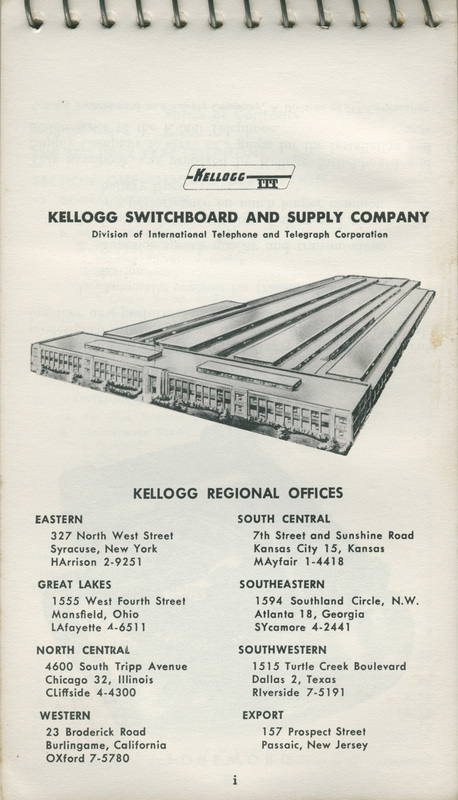 The small-format book (7"x4") is packed with great information and illustrations, much of which is applicable to other phones as well as the Kellogg. 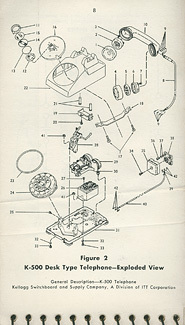 Each image can be left-clicked to view a large (and I mean large) version.